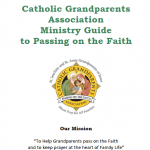 Contact your parish priest about starting a new branch of the Catholic Grandparents Association (CGA) and set up a date to speak at Sunday Mass to explain what the CGA is. In the weeks leading up to the Mass, put an announcement in the parish newsletter about the creation of a new Grandparents’ group, the first CGA gathering. Include your contact information for anyone with questions. Make sure to put a second announcement in the newsletter with all of the details about the ﬁrst meeting of the new CGA branch (place, date, and time). After the talk at Mass, stay around to hand out CGA information cards and to speak with anyone who might have questions. During the meeting, collect everyone’s contact information to share amongst yourselves as a community of Faith and support. 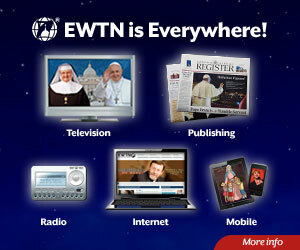 Register your new branch with the Catholic Grandparents’ Association by e-mail, website or post. Have tea and biscuits and a few minutes to greet one another and socialise. Light a candle and pray the Pope’s Prayer for Grandparents as the official start to the gathering. Quiet your hearts and minds from the rest of life, recalling the many graces God gives us, particularly our Grandchildren. Life is always busy, so take a minute or two to sum up anything that has happened recently or since the group last met. This can mean events in which Grandparents have participated, family news (a new Grandchild was born), or anything else a member wants to share with the group. This is also a good time to remind the group that, as a place of Faith, trust and support, it is important to keep the conversations private and confidential. With everyone focused on the Lord, begin the conversation for the week. Choose a question to discuss, something to read together and reflect upon, talk about an area of struggle as a Grandparent, look to the Resource Appendix for meeting ideas and questions. If it is relevant to the group, offer a few minutes for individual reflection. 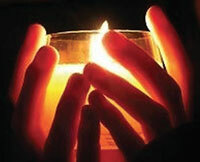 Encourage everyone to pray silently, in small groups, or jotting down a few thoughts. One person can offer a brief prayer, thanking God for the time of conversation and reflection as a way of bringing everyone back together. It is great to plan events or activities that get us involved with our Grandchildren as a branch of the CGA. Talk about anything that needs to be discussed or announced for upcoming events. Now is also a good time to send around a small collection basket to pay for the shared tea and biscuits. Before concluding, pick a topic for the next meeting, so everyone has the opportunity to prepare individually through whatever means (thinking, praying, reading, etc). Close the meeting with a heartfelt prayer as a community centred on prayer.